Usually the answer is a resounding no. I love this challenge and finding new meats to eat as well as challenging my cooking skills. For the most part I’ve risen to those occasions, it just so happens that every now and then there’s a snake in the grass and the meal created is, how shall I put it- shithouse! Case in point last week’s abomination with the python. However, there are weeks where this challenge gets on top of me and the idea of sourcing a new and mysterious meat to turn into a delightful meal is too much to bear. I have always managed to get over that and push on through. This week, week 33, was most certainly one of those weeks! Returning home from a holiday and time away from home is a mixed bag, I find. 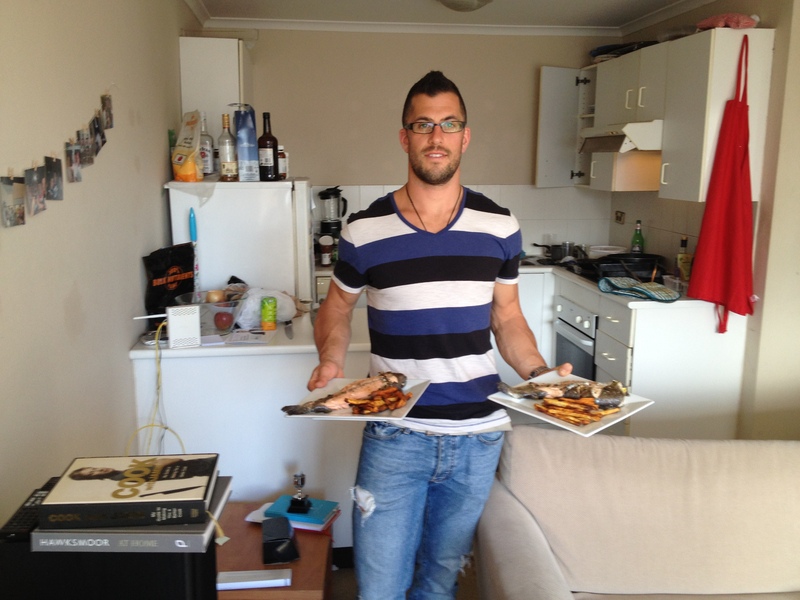 I was looking forward to the comforts of home, my own bed and kitchen, cleaning up after my flatmates of course… as well as knowing where my next meal was coming from. I think we all know the importance I place on quality food. Whether or not that makes me a massive health geek, I’ll let you decide… On the flip side was the return to every day work and the subsequent reality of another meat to source. I arrived back from the US on Wednesday morning and managed to adjust pretty well and quickly, however, unlike a normal week where I have time to prep and organise meat to be ordered etc, I was very quickly at Friday with zero options. Anyway, anyone that knows me well knows that I can be stubborn, girlfriends past and present no doubt more than most. So with an element of true stubbornness as well as a strong and resolute desire to complete this challenge (and achieve something I think will be pretty damn remarkable), I went to my list, work shopped a few ideas with those around me and landed on a plan that was going to involve some more learning for me, and hopefully some entertainment for you! 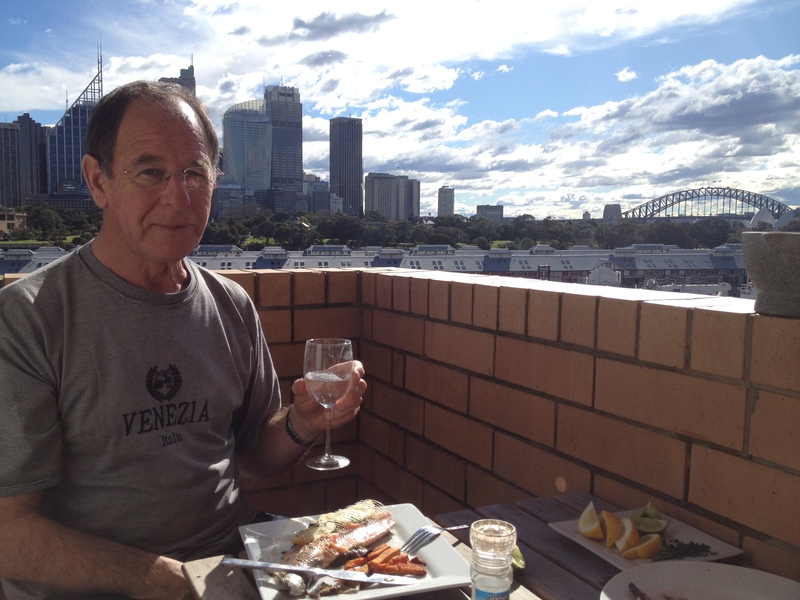 I have been fortunate to have my Dad in Sydney since my return from overseas and had him staying at my place. This is a man who not only is a serious jack of all trades but also an avid fisherman. Dad spent many fruitless moments throughout my childhood trying to teach me many of these varied trades including fishing and what to do with the fish once you’ve caught them. Apart from whacking them over the head, which I became quite talented at… Not hard that though is it. What did I end up cooking? I’ve never cooked trout before and I didn’t really know where to begin. That’s where the relative expert, Dad, comes in. I had fanciful ideas of him teaching me how to fillet one (again), then we’d make a flourless batter and go from there with some coconut oil in the pan. Dad soon informed me filleting was not the way to go and we should instead bake or pan fry whole. He’s the expert, so I left my imagination out of it temporarily. How did we cook the Trout? The trip to the market was a good one. Far busier than any other trip I’ve made, and Dad walked away with a dozen oysters and a smile on his face. 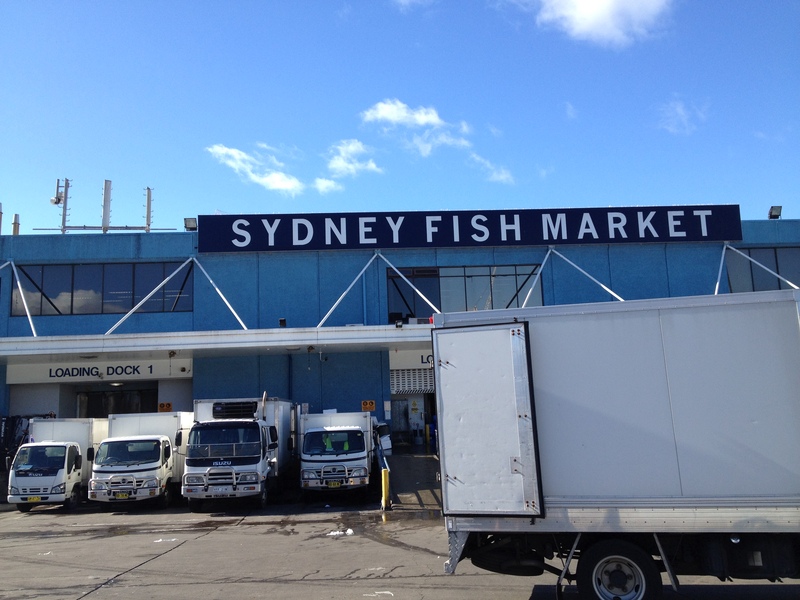 We picked out two small Rainbow Trout from the Snowy Mountains of New South Wales, got them scaled and beheaded in order to fit in the pan, and headed home. I also bought one golden andone purple kumara to make some nice healthy chips, some lemons, a lime and fresh herbs. Once the chips were almost done we ate the oysters. These were enjoyed no end once I created a small dressing of white wine vinegar, olive oil, lemon juice, salt and pepper and added it to the unpleasant looking but now very tasty oysters. Regardless of the taste, I don’t think I’ll ever get past the appearance of oysters- I can’t be alone on this? I digress. 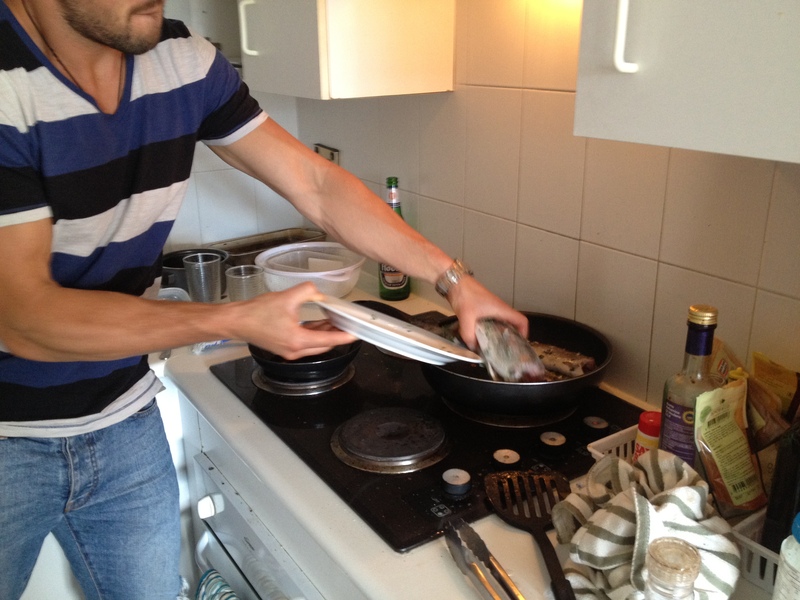 Then it was time to fry the fish. The pan was hot and I added them to a nice sizzle. Gladly this was instantly very different to the python’s reaction to the hot pan from last week and they went about cooking nicely. At this stage the rookie in me decided it was a good idea to place a plate over them. I think this did help to cook through better in the end, but it also meant the skins came away from the meat very easily on flipping, essentially removing them all together. How did the trout turn out? This is the key right! 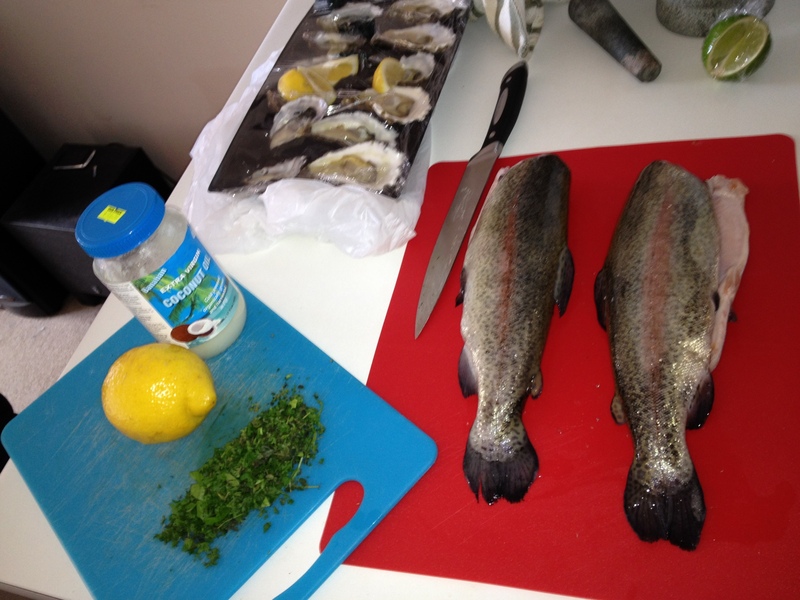 Well, after we devoured the remainder of the oysters and the chips were ready to go, the trout approached completion. Again I had Dad’s guidance, but I essentially took over with this and made it my own. I plated up, we got the balcony ready to dine and we got stuck in. Slowly. The thing with a whole fish like this (minus the head) is ensuring to avoid the bones and gently remove the flesh. I’ve only ever eaten trout once or twice before and it wasn’t like this, so I took my time, but thoroughly enjoyed this delightful orange fish. It was cooked perfectly, if I do say so myself… the flesh pulled away with consummate ease and could be enjoyed for what it was. The kumara chips were beautiful and such a delightful alternative to normal unhealthy deep fried chups- this was a rewarding and beautiful meal of fesh n cheps! That’s how you Aussies out there sound, just by the way. Did this make up for the dropped lip tantrum earlier in the week? 100% yes. The weeks that start out as a drag have obviously always finished with me cooking some sort of meat, whether a good or bad result, I get it done. Not only did this result in a great meal, it was shared with the one and only Anthony John Campbell- my dad. I can say with certainty I would not have been anywhere near confident approaching the cooking of this trout without his help and guidance. That doesn’t mean I’m not going to claim creative credits on the recipe and finished dish… Hell yeah! Is Trout too boring for this list? What feedback do you have for me? I personally believe it has a comfortable place on here, as for me it’s a relative unknown, and I also consider it different to the flounder done earlier on. Different coloured fish and just as foreign to me when it comes to cooking. I liked them both, but I almost think this might have been more enjoyable. Maybe that’s the child in me revelling in the advice from my old man and cooking a dish he loved as well. Oh yeah I forgot to mention, Dad thought that trout can sometimes taste a bit bland, but the flavours in this were delicious and the meal was well worth the lengthy stories about my flat and the issues with the building body corporate (w**kers). 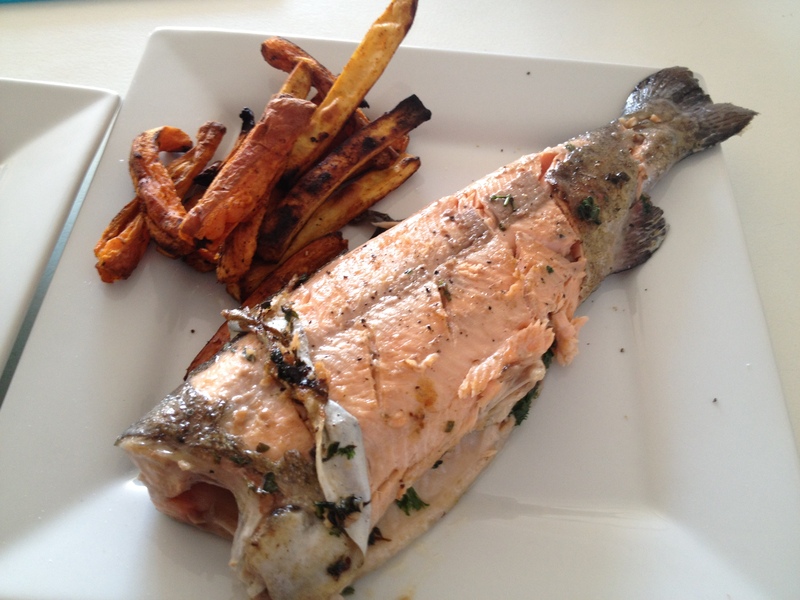 The other benefit of this trout is the amazing nutrients we get from eating wild fish like this. Trout is jammed full of great protein, fatty acids- omega 3s, vitamins and minerals that help us to gain and maintain a healthy body, get a lean body composition. Eat some trout today my friends! As I write this I am pondering the feelings I had last week of despondence and frustration regarding new meats and churning out another blog post, and it fills me with determination to get organised and create a meal that everyone of you will want to reproduce as well as a post that has you smiling, laughing and sharing with your friends. After all, that’s what really drives me with this challenge and gets me into the kitchen and onto my laptop. That is kitchen then laptop. I don’t write in the kitchen. So with that in mind- please keep your feedback coming!! Let me know what you think of this below in the comments, shoot me ideas for meats and recipes and if you have any topics in the health and fitness realm you’d like me to cover I’ll do my best to keep you informed. How many puns can one man get into a comment?! Ha, nice one Andy. That may be a record!